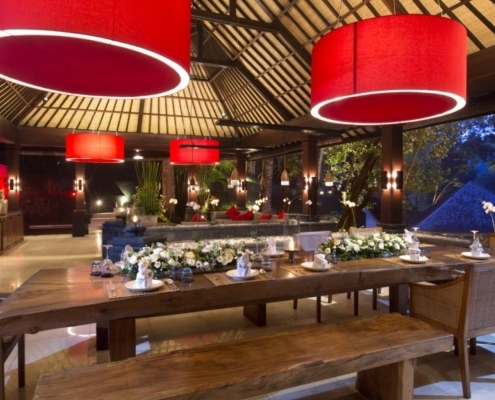 Our dining room is located in the main pavilion. 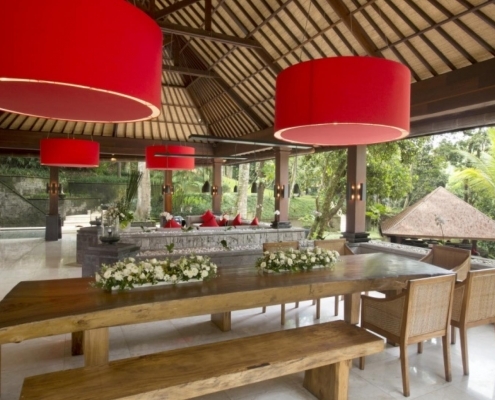 This sheltered and very spacious open-air pavilion offers stunning green infinity views over Bali’s beauty. 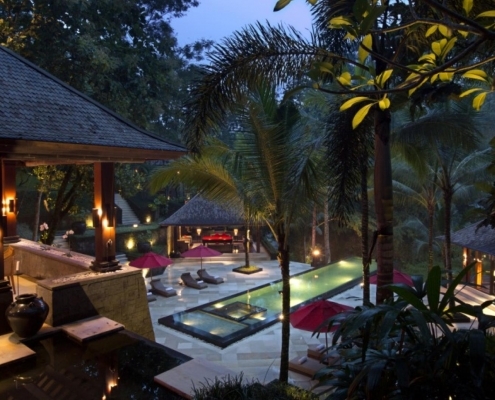 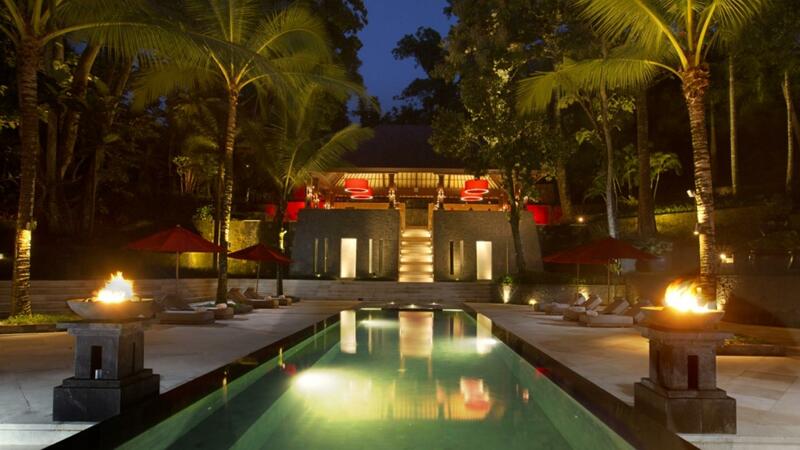 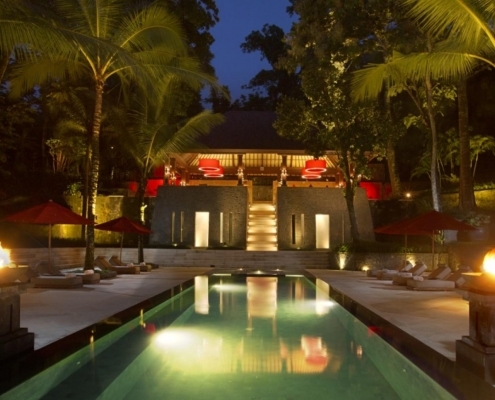 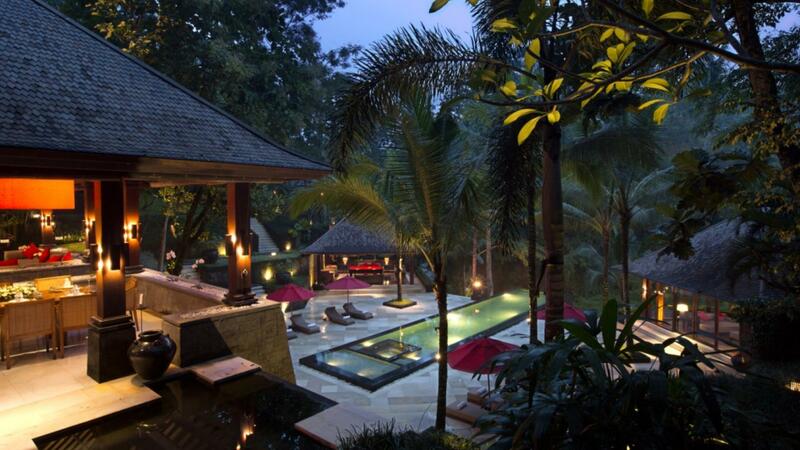 It is bordered with beautiful Balinese ponds and illuminated with modern design lamps. 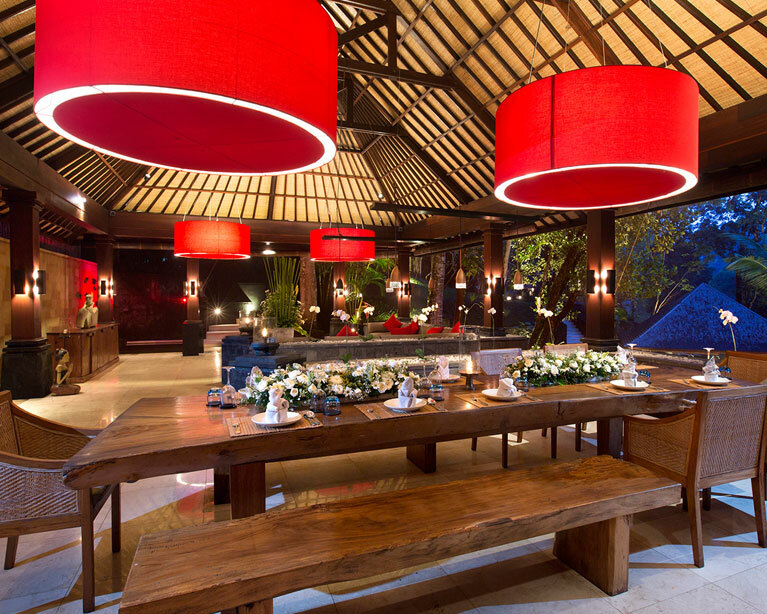 Constructed in traditional Balinese style and very heigh ceilings, this is the place you will have your breakfast, lunch and dinner served. 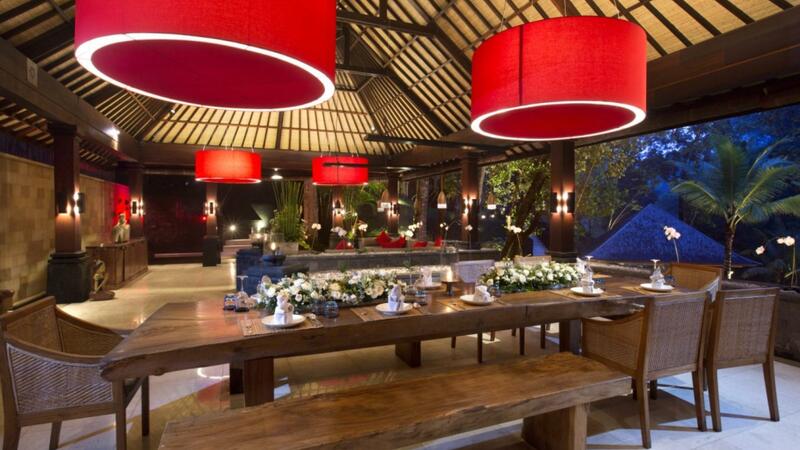 The antique teak dining table can easily have 16 – 20 adults eating in comfort. 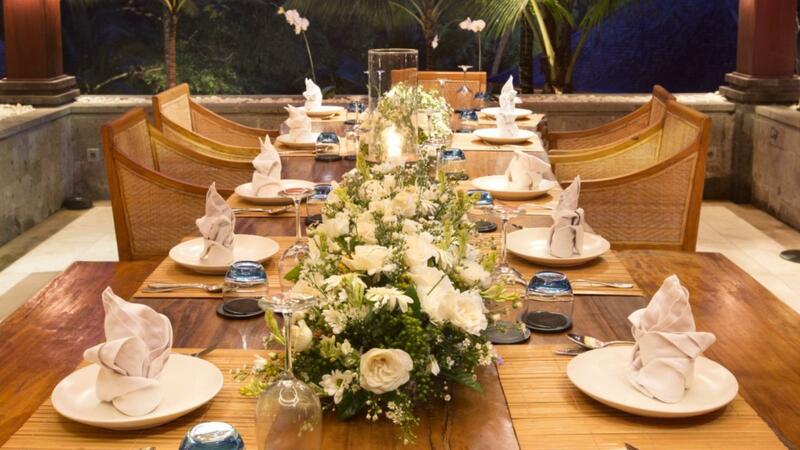 We have an extension available for more people to eat together. 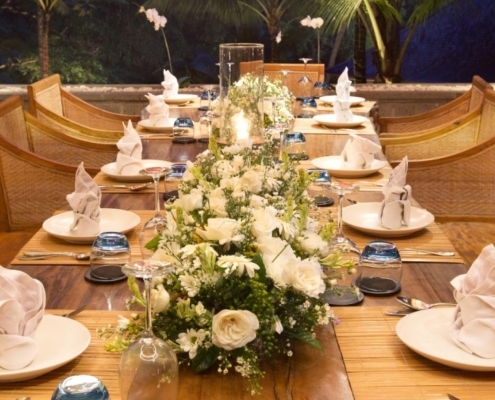 When children occupy the bunk bed room we recommend the children to eat first and our staff will prepare the dining table for our adult guest once the children have finished their meal. 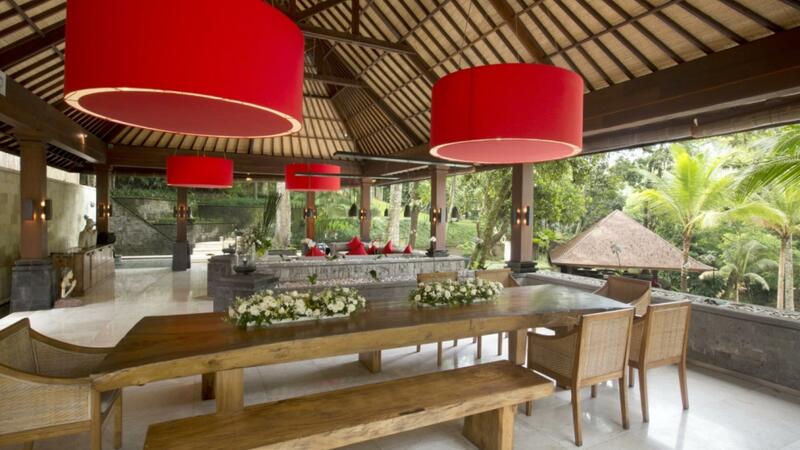 The integrated music sound installation offers a finishing touch.